The sunny state of Florida sites a few Air Bases and Naval Air Stations – like Eglin, Pensacola or Key West - which MILAVIA readers might be familiar with. Hurlburt Field, located next to Eglin in West Florida near the gulf coast, is likely not one of them. Accommodating USAF Special Operations Command (AFSOC), the USAF Special Operations School (AFSOS), 1st Special Operations Wing (1st SOW) and a large number of associate support units, this inconspicuous single-runway field is where Air Commandos are made and Spectres roam the sky. Defining the line between normal military aviation and Special Operations aviation (SOA) is not easily done. Some authors would look towards the airframes or other technical equipment as a means to differentiate between them. But the true difference lies with the crews, their training and their unique missions. As a most basic requirement, Special Operation aviators must be experts at night flying, including skilled use of night vision aids, enabling them to fly fixed-wing or rotary aircraft low-level, in formation, over hostile territory to a specific location with a very specific time-on-location. In mission terms, most of their work focuses on supporting Special Forces specific tasks like Long-Range Reconnaissance or Direct Action (often carried out by operators from other branches) by covert insertion, extraction, relocation or resupply. Not all SOA missions are just supporting ground troops, however. The famous AC-130 “Spectre” gunships, a concept that dates all the way back to Vietnam and is still going strong in Afghanistan and Iraq, also have their home at Hurlburt, requiring a much different skillset from their crews than normal C-130s. Another important part of SOA is CSAR, the search and rescue of downed pilots under combat conditions. 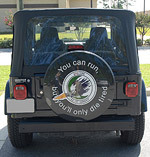 And, most interestingly – not all USAF Special Operations take place in the air. 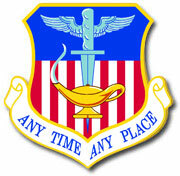 Hurlburt is also home to the “Battlefield Airmen”, members of the Air Force trained to the highest standards for covert ground operations. This includes specialization in pararescue (recovery of personnel or equipment behind enemy lines trough CSAR), combat control (establishing assault zones or austere landing zones, directing fire support) and Tactical Air Controllers (who advise and train the Army as well as perform themselves as Forward Air Controllers to provide terminal guidance for air attacks). Hurlburt Field is home to a total of nine flying squadrons under command of the 1st SOW, each with a designated mission and airframe – some of those old, some of those brand new. The well known AC-130 Gunships – 17 AC-130U and 8 AC-130H – are operated by the 4th and 16th Special Operations Squadron respectively. “You can run, but you’ll only die tired” is not a hollow creed for these Air Commandos. With the impressive firepower of their 105mm Howitzers, their Low-Light Night Vision and Infrared Sensors, long loiter times and immense range, these aircraft are perfect for Close Air Support as well as Interdiction, Reconnaissance and independent operations against enemy ground activity. The U-Models are currently scheduled to receive the 25mm “Bushmaster” auto cannon also in use on the Bradley IFV. The Hs have had their twin 20mm Gatlings removed for some time now, and rely instead on the 40mm Bofors for smaller targets. The mission for both types is the same, but the U series have a more sophisticated and better integrated sensor and fire control suit, enabling them to fire at two targets simultaneously and also to pressurize the aircraft in transit, while not firing. To give an impression of the immense utility these aircraft have in support of Special Forces, take a look at Operation “Acid Gambit”, performed during “Just Cause”, the US Invasion of Panama: A team of Delta operators were tasked to free Kurt Muse, an American citizen held hostage, from a prison next to a Comandancia (Headquarter) full of PDF troops. The two AC-130H circling overhead were not only able to take out single specific buildings in that compound without any risk of damage to the Delta troops right nearby, they also were precise enough to neutralise enemy defenders shooting out of specific floors in other buildings by penetrating the tin roof with their 40mm Bofors – without taking the whole structure down. This kind of pinpoint firepower from the air is unmatched even by precision-guided munitions or conventional CAS jets today. The low blast radius of the 40mm and 25mm shells also helps to keep collateral damage to a minimum. These aircraft are conventional C-130E and H converted to the gunship role, and with their heavy deployments to Iraq and Afghanistan, AFSOC has literary been “flying their wings off” – cracks in the wing center box mean that replacements are needed five years ahead of schedule, and for each flying hour they now require up to 14 hours maintenance. To fill the gap and better adapt to the current mission scenarios, AFSOC also wants to convert the new twin-engined C-27 “Spartan” (Joint Cargo Aircraft) into gunships named “Stinger II” (the original “Stingers” were C-119 “Flying Boxcars” during Vietnam). This variant, likely armed with a single gun either 40mm or 25mm, would be smaller, slightly cheaper to operate, and still more than adequate for today’s counter-insurgency and small-scale operations in the War on Terror. AFSOC is also one of the key customers behind the development and testing of Boeing’s airborne laser, which right now is compact enough to be mounted in a C-130H. Another Squadron at Hurlburt Field can’t quite complain about airframe age – the 8th has just started this year to receive their new CV-22B “Osprey” VTOL transport aircraft, with a total of 12 to arrive till 2009. By August five were already delivered, and the squadron will take over the covert insertion/extraction missions from the 20th “Green Hornets” when their over-aged MH-53 Pave Lows are finally retired on 17th October. Some of these MH-53s had already served Special Operations needs during the Vietnam War, and while they have a proven combat record, maintenance requirements went trough the roof during the last years. The “Osprey”, while initially suffering development problems and fatal accidents, is now seen as a mature system, and already deployed to Iraq by the Marines (in it’s MV-22 version). 8th SOS Pilots have come both from fixed wing (MC-130) and rotary wing (MH-53) career fields, and both groups equally love the improvements on the new aircraft – more range, payload and speed compared to the MH-53, and more versatility compared to austere field landings or air drops with MC-130s. The avionics are latest standard glass with a much upgraded self defense and sensor suit compared to the Marines version (including Forward Looking Infrared, Terrain Following Radar, improved Radar Altimeter, Survivor Locator System and additional tactical communications systems). Internal fuel has been raised by 900 gallons and provisions are in place for auxiliary tanks in the cabin itself. The one problem still under review is a perceived lack of armament – right now, the platform only carries a rear-facing 7.62mm machine gun, for which the cargo door has to be lowered. Earlier plans to mount a powered chin turret of the same calibre have been scrapped due to weight & balance problems, but BAe systems is now testing a belly-mounted 7.62mm Mini-Gun of their own design which takes up the space and mounting points normally reserved for the cargo hook. This would give the crew a 360° field of fire, if weight limitations can be met. 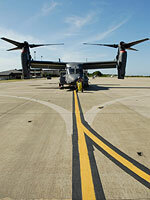 It has taken a while, and a lot of budget, but the “Osprey” is ultimately very ready and capable for the job. While the “Spectres” and “Ospreys” are most visible in media, they are only the “tip of the spear”. In support of operations, a lot of flight hours are logged by the 9th and 15th Squadron, flying MC-130P “Combat Shadow” and MC-130H “Combat Talon II” aircraft. Their primary mission is similar – inserting, extracting or resupplying Special Operations Forces by airdrop or airland operations (including landings on unprepared runways), as well as refuelling of Special Operations Helicopters. The aerial refuelling system used is “probe and drogue”, which means that MC-130s can not refuel AC-130s, as these only carry a receptacle for a tanker boom. 12 MC-130W “Combat Spear” Aircraft were meanwhile delivered to these Squadrons, which now also include the MK32B-902E Refueling Pod suitable for the CV-22 as well as a host of other improvements. Some MC-130E “Combat Talons” of the first generation are also still around, and suffering the most from the same problem as the AC-130s – too much demand for their missions means structural attrition that necessitate their retirement much earlier as planned. Thus AFSOC is looking to replace MC-130P and MC-130H with the new “Combat Spears”, and to add 24 additional aircraft accounting for the increased demand for Special Operations Aviation. Another factor in the attrition of these aircraft was that AFSOC has used them in the past as regular transports for overseas deployment instead of having to rely on other USAF units for the job – this situation has been improved by giving the 6th SOS access to regular C-130Es for normal long-range logistics. Imagine what it’s like to sit on a white, sandy, endless beach in Florida, on the Gulf coast, with the sun out and weather fine – when you suddenly see a white Mi-17 transport helicopter fly by, unmistakably a Russian design, the least thing any aviation enthusiast expects to be in American airspace. Chances are high you have seen an aircraft of the 6th SOS, which fullfills a very special job at the 1st SOW: To assess, train, assist and advice foreign powers in Airpower deployment, sustainment and force integration. Just as the Army Special Forces (“Green Berets”, but don’t ever call them that) are highly active in training other nation’s ground forces, so has the Air Force realized the need for a similar program involving foreign aviation assistance. The official name for this kind of Spec Ops mission is “Foreign Internal Defense”, and it has been a key mission for USSOCOM since its foundation. To familiarize themselves with foreign equipment, the 6th operates a varied mix of airframes likely to be found in host countrys of their deployment, primary Mi-17, Mi-8 and UH-1 helicopters, Casa 212 “Aviocar” transport aircraft and C-130E in standard version, which are also sometimes used for general AFSOC transport needs. The other airframes are – at least officially – not deployed outside of CONUS. Some of the squadron’s pilots are also rated for An-2, An-26 and An-32 transport aircraft, though none of these are stationed at Hurlburt. 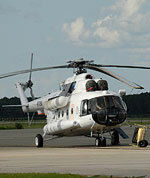 According to credible sources, a lot of their helicopter and fixed wing ratings are attained in the Ukraine. Students of foreign Air Forces will either be trained by special “Operational Detachments” deployed to the host country, on their own airframes, or may be invited to Hurlburt Field for local training. The Sixth has been deployed to locations as diverse as Jordan and the Philippines; they also currently support the newly emerging Iraqi and Afghani Air Forces. This of course requires a strong focus not only on aviation qualifications, but also on teaching and language skills. As the only unit of its kind on the USAF, demand for the 6th is high, and the unit is set to expand in size constantly, in a time when other Air Force units are cutting back. Last but not least, the 319th SOS flies the U-28A, a variant of the well known Pilatus Porter PC-12 of Swiss origin. This aircraft has been chosen for its ability to operate from short and unimproved runways, on dirt and grass, which makes it ideally suited for the transport and resupply of small teams. The AFSOC version is equipped with a lot of additional sensors and avionics, and also includes a weather radar. The airframes have been bought up “second hand” from other operators, and in fact neither the Air Force nor Pilatus Aircraft Company like to advertise the fact that Swiss aircraft (even with their long history of exporting PC-6 Turboporters and PC-7/9 Trainers) are used for other than just training purposes. The formal school for AC-130H, AC-130U and MC-130E is with the 19th SOS, a squadron solely tasked with training and mission rehersal. They utilize aircraft from the squadrons whose students they’re training. But also each Squadron itself sets the highest value on putting in as much training sorties as possible while not deployed, to keep the skills sharp. This results in about 5000 training hours flown yearly on the AC-130s, 4000 on the MC-130, and 1400 on the CV-22B. Live firing exercises are flown almost daily (up to and including 105mm calibre on the Gunships) for which a training range of the nearby Eglin AFB can be used. Approximatly one third of the 1st SOW is constantly deployed overseas, another third preparing for deployment and the last third returning, making it one of the busiest wings of the Air Force. By a recent study of “The Air Forces Times”, the 4th SOS with their newer AC-130U is in fact the second most deployed unit in the whole USAF. While budgetary restraints and the immense costs to fund the “War on Terror” in Afghanistan and Iraq have taken their toll on many US defense programs (most recently axed: the ARH-70) and on the whole Military Force Structure, US Air Force Special Operations capabilities are more than ever needed as a key force multiplier in the current climate of asymmetric warfare. It is thus not just a little prophetic that the last USAF Chief of Staff, Gen. T. Michael Moseley who once commanded a Fighter Wing and was a major voice in the quest for increased F-22 numbers, has been replaced this August by Gen. Norton A. Schwartz, a former C-130, MC-130 and AC-130 pilot who spend considerable part of his career at Hurlburt Field and also commanded the 16th SOW for two years – which is precisely today’s 1st SOW that had later been redesignated. As a friend in the Air Force Special Operations School, who’d rather remain unnamed, put it to the author: “If the Air Force doesn’t get its act together (meaning: delivers the support and missions required by the Soldiers and Marines on the ground), the Army and Navy are going to take our job away from us”. While the KC-X, JSF and F-22 programs are definitely needed to keep up a credible deterrent against other major nations well into the future, they are not very helpful supporting current asymmetric combat operations. 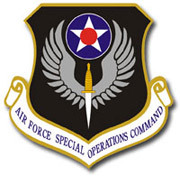 The real wars today are fought exactly by the standards that the US Air Force Special Operations Command has always embodied – by small units full of highly skilled personnel, putting a high value on reconnaissance and intelligence with exactly the right amount of pinpoint firepower to neutralise enemy opposition at no collateral costs. Trough modern programs like the CV-22B, MC-130W, Airborne Tactical Laser and “Stinger II” in the pipeline, the units at Hurlburt Field will thus continue to “fly, fight and win” in current and tomorrow’s conflicts for the foreseeable future. Special Thanks for Hurlburt Field PAO Staff, most notable Capt. Amy Cooper and Capt. Lauren Johnson, for taking care of me during my two-day tour and providing amble opportunity for interviews and pictures.